THE HAGUE (Reuters) - Syria on Monday handed over the remaining 100 tonnes of toxic material it had reported to the global chemical weapons watchdog, but Western governments said it was too early to declare the country free of weapons of mass destruction. The delayed final consignment, roughly 8 percent of a total 1,300 tonnes Syria declared to the Organisation for the Prohibition of Chemical Weapons (OPCW), had been held at a storage site which the government of President Bashar al-Assad said it had been unable to access due to fighting with rebels. The security situation in the area has now improved and the containers of chemicals were taken by truck to the Syrian port of Latakia and loaded onto a ship to be destroyed at sea on a specially equipped U.S. vessel, said OPCW chief Ahmet Uzumcu. "A major landmark in this mission has been reached today. The last of the remaining chemicals identified for removal from Syria were loaded this afternoon aboard the Danish ship Ark Futura," Uzumcu told a news conference in The Hague. Syria agreed last September to destroy its entire chemical weapons programme under a deal negotiated with the United States and Russia after hundreds of people were killed in a sarin gas attack in the outskirts of the capital, Damascus. The agreement averted U.S. military strikes in response to the worst chemical weapons attack in decades, which Washington and its European allies blamed on Assad's regime. Assad blamed rebels battling to oust him for the chemical attack. Western governments reacted cautiously to Monday's announcement and said they remained concerned about Syria's chemical weapons capability, partly because of use of chlorine-like chemicals on the battlefield. "There are still some serious issues that need to be addressed and we are not going to stop until those have been addressed," U.S. Secretary of State John Kerry said during a visit to Baghdad. "We remain deeply concerned about reports of systematic use of chlorine gas in opposition areas." Echoing that scepticism, British Foreign Secretary William Hague said: "The regime's history of lies and obstruction make it impossible to take its claims at face value, and we support the OPCW in its efforts to press Syria for full disclosure." Uzumcu confirmed that an investigation into the alleged use of chlorine in Syria's civil war and a review of the list of chemicals Syria has admitted possessing would continue. "All declared chemical weapons have left Syria (but) clearly we cannot say as the secretariat of the OPCW that Syria doesn't possess any chemical weapons any more," Uzumcu said. "We hope to conclude soon the clarification of certain aspects of the Syrian declaration and commence the destruction of certain structures that were used as chemical weapons production facilities," Uzumcu added. Speaking in Cyprus, Sigrid Kaag, head of the joint U.N. and OPCW team of experts overseeing the removal of the chemical materials, said work would start within three months on a process to destroy 12 production sites and tunnels inside Syria linked to the chemical weapons programme. Syria's envoy to the United Nations said he had informed U.N. Secretary-General Ban Ki-moon of the final shipment. "Therefore, the Syrian government has respected its commitments and fulfilled its obligations," Bashar Ja’afari told Reuters. A foreign ministry official in Damascus told the official SANA state news agency Syria had now done its part in helping to free the Middle East of weapons of mass destruction and urged arch foe Israel to also join the Chemical Weapons Convention, the international ban treaty enforced by the OPCW. Under the initial agreement, Syria had until next Monday to hand over its entire chemical stockpile and destroy all production and storage facilities in the country. 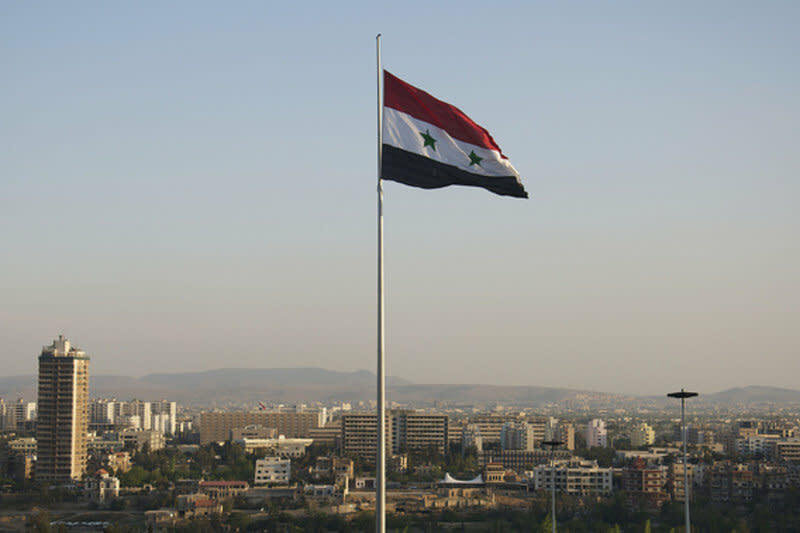 Syria has missed several deadlines set out in the agreement and will now miss the final June 30 deadline by several months. It will take up to two months to neutralize and process the highly-toxic agents - including mustard gas, sarin and other highly-poisonous precursors for chemical warfare - with special equipment on board the U.S. cargo ship Cape Ray. Assad's government said it wants the U.N.-OPCW mission led by Kaag to end once all chemicals have been shipped. But Western governments want the mission to continue to investigate numerous ambiguities in Syria's chemical weapons declaration and the alleged chlorine gas attacks. Last week OPCW investigators said preliminary information supported the view of Western governments that chlorine-like chemicals not declared to the watchdog have been used in Syria. "We have to maintain pressure on Syria to ensure that the chemical weapons programme is completely and irreversibly dismantled, including remaining production facilities," said the European Union in a statement welcoming Monday's announcement. "The EU urges all parties to help revive the political track as there can be no military solution to this conflict." The civil war in Syria, now in its fourth year, has killed 150,000 people, displaced half the country's 22 million population and forced 2.8 million to flee.